The things we have seen. If there’s something this festival has taught me, taught all of us, it’s that you never truly know a place. There are always people you haven’t met yet. Always hidden spaces, around the next corner, on rooftops, down corridors and underground. Layer upon layer of history behind the facades. You will always be too young or too old to be across it all, so you must never become complacent. Never stop exploring. Never assume there aren’t others like you. The city is never quiet, you’re just looking through the wrong door. I’ve been a very bad blogger. But no time to elaborate on whys or where for’s – You Are Here is begun! You may recall pretty well bang-on twelve months ago when I first began working with the You Are Here festival, at the time a pilot project of the Centenary of Canberra. The project was deemed a success, the happy result being that we now have a three-part series: 2011, 2012 and then 2013 – Canberra’s centenary year. 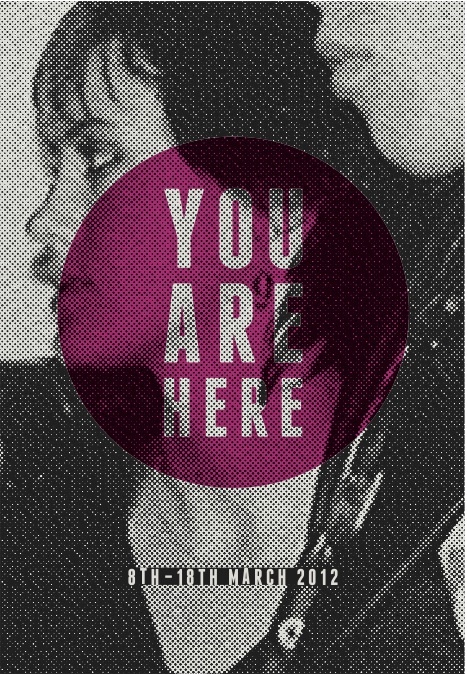 You Are Here 2012 begins TODAY. Yep that’s right. I shouldn’t even be sitting here typing this right now, but I shudder to think there may be local arts-inclined folk out there who may not have heard of us and our 42-odd events. To coin the corniest of terms, there really is something for everybody. We have a festival hub: ‘The Newsroom’ – the old newsagent in Centrepoint arcade, Petrie Plaza. If you’re in Civic be sure to drop past and find out what’s going on. And, of course, the You Are Here site, featuring all you need to know plus a great blog of interviews with artists involved. The festival runs from today, the 8th, to the 18th of March, with events happening before work, during lunch hour, after work and into the night for the whole ten days. Everything is FREE and most everything is all-ages. Have I convinced you yet?